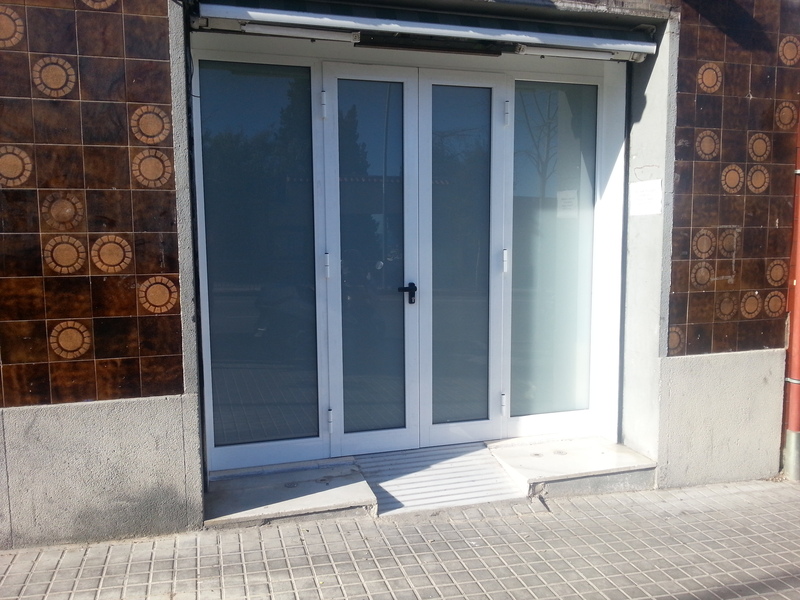 Door installed in the warehouse of a supermarket in the neighborhood of Guinardó of Barcelona. Earlier this local had installed a door which prevented opening out genre comfortably inside, reducing space and functionality. With this type of door with a simple gesture on the lever anti-panic doors open outwards which square meters to win local and easy opening. The door was 4 aluminum sheets in white lacquered Series Stilo 50 with 5 +5 laminated glass butylado mate, which offers security as if broken glass shows no avoiding lead to injury. According to the number of employed aluminum and glass, the door can provide more or less robust than, depending on the material chosen to have a suitable budget quality materials, budgets discard very cheap, low quality materials, because eventually can become very expensive. This door was installed by three operators in a morning of slaughter. For more information please contact us, we will respond without compromise.